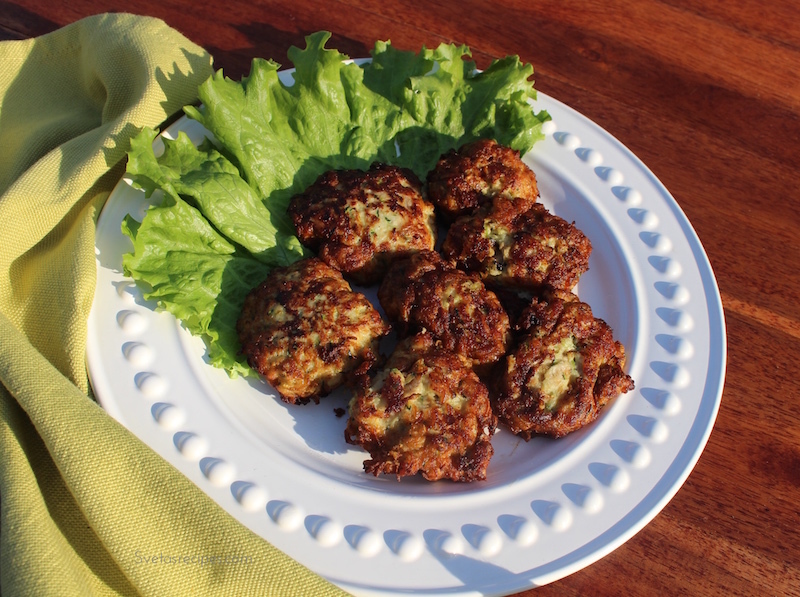 Zucchini Pancakes (oladki) are made with fresh zucchini and grounded pork. They are very tasty and are easy to make. They are very soft on the inside and go well with mashed potatoes. 2. 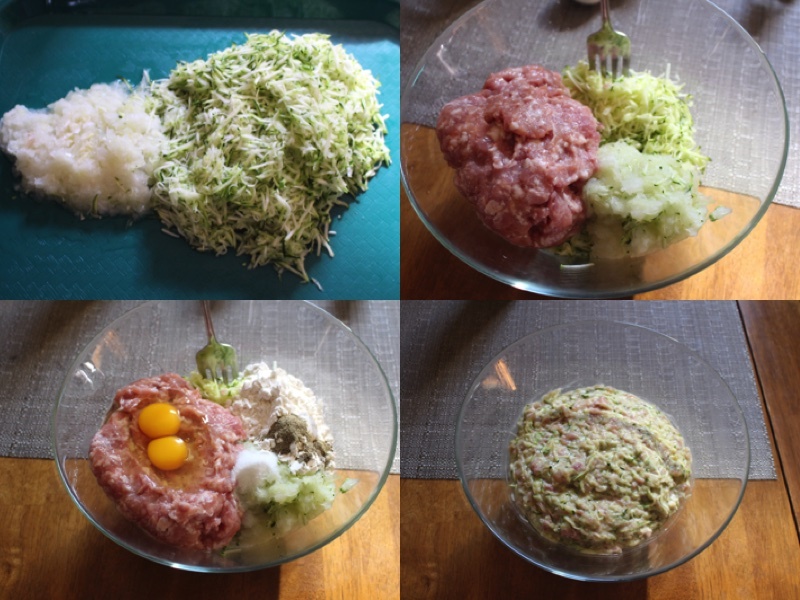 Shred zucchini and the onion and add into a medium size bowl with grounded pork. 3. Add eggs / salt/black pepper and mix well. 4) With a table spoon add a spoon full of the mixture and place into a hot oil skillet like shown in the picture above. 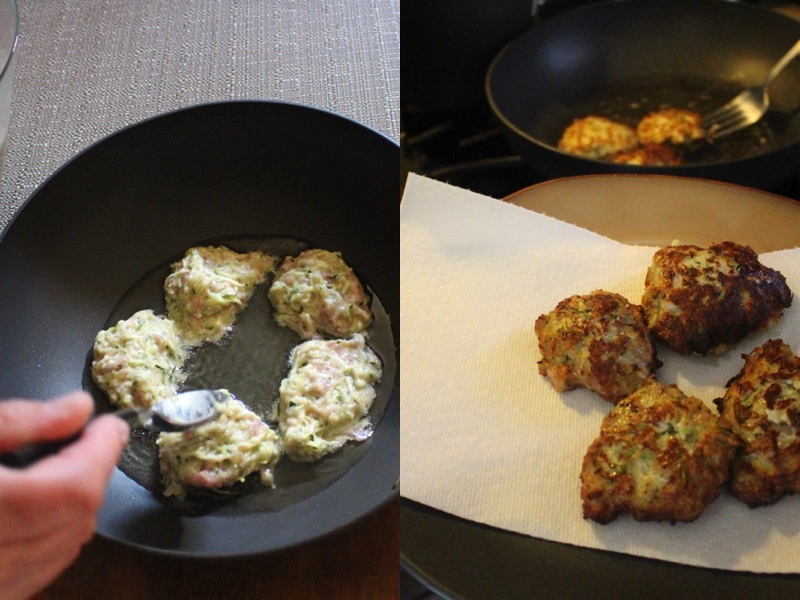 Let them fry for four minutes and then flip them all over and fry the other side for 4 minutes. When they are done frying take them out onto a paper towel so the oil can drain. 1 cup of oil in the pan to fry them . 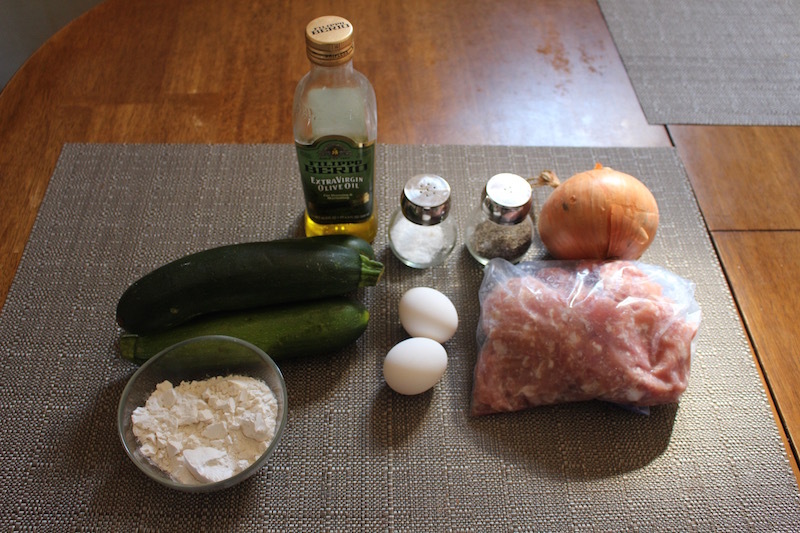 Shred zucchini and the onion and add into a medium size bowl with grounded pork. Add eggs / salt/black pepper and mix well. With a table spoon add a spoon full of the mixture and place into a hot oil skillet like shown in the picture above. Let them fry for four minutes and then flip them all over and fry the other side for 4 minutes. When they are done frying take them out onto a paper towel so the oil can drain.